We work for the well-being of the primates. 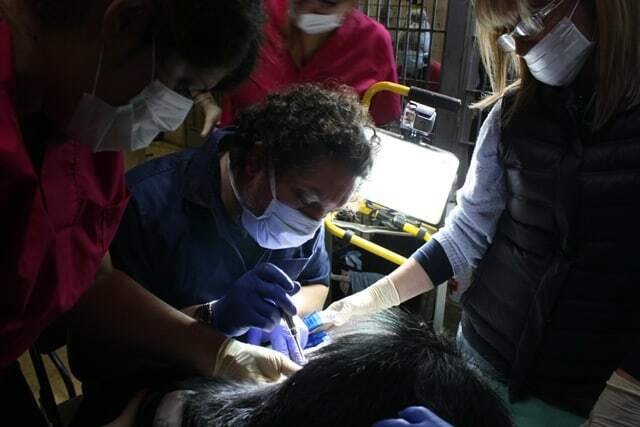 We integrate different work methodologies that make us one of the few centres worldwide that are fighting for the survival of the primates on all necessary fronts and, at the same time, offer an excellent care to the rescued primates. We have rescued 30 primates and collaborated in the rescue or relocation of 33 primates more. More than 90,000 visitors have taken a guided tour of our facilities and have known the problem first hand. More than 14,000 students have participated in our educational workshops and more than 2,000 have taken our training courses. Since 2013 we deliver a Master’s Degree and a Postgraduate Course in primatology with the UdG Foundation. We have trained more than 100 students. Achievement of 8 research scholarships in ethology. We are accredited to run projects under European Voluntary Service (part of the European Union’s Erasmus+ programme). In 2002 we founded MONA-UK, the British branch (based in Cambridge) that helps in spreading our work and raising funds. 95% of our revenues are self-generated, which means that we are not dependent on public subsides to carry out our activities. 10% of the sale price of this neckwarmer is donated to MONA. For further information about BRINZAL, visit this page of the NGO. Learn more about the Chimpanzee, the animal printed on MONA neckwarmer. 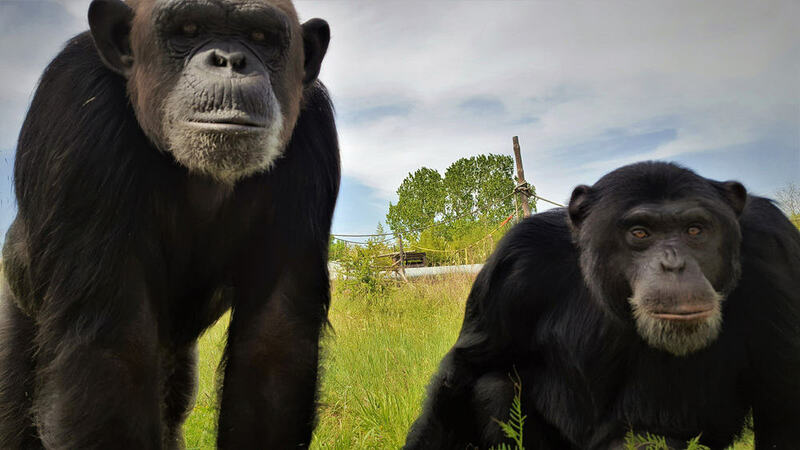 For many years, because of our proximity to the African continent, many chimpanzees have arrived in Spain illegally to be used in circuses and as tourist attractions. In the 70’s and 80’s, it was common to see photographers taking pictures to tourists posing next to a chimpanzee. Nowadays they are used in traveling circuses, advertisements, television shows, zoos, and amusement parks. 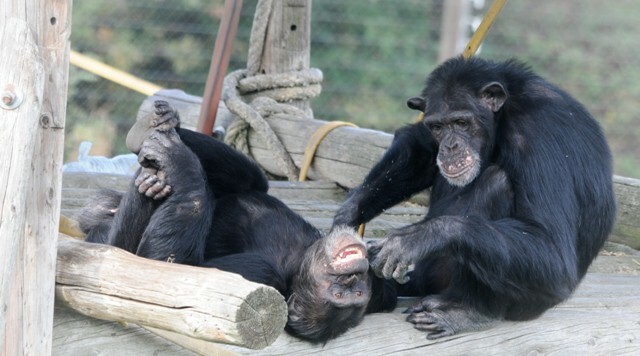 Many other chimpanzees are held in poor condition in private collections. In 2001 we were recognized as a primate recovery centre suitable to take primates from illegal traffic in. 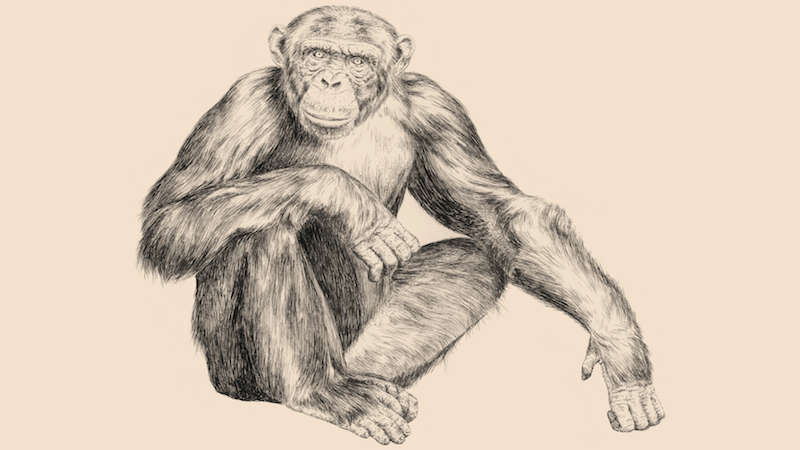 So, we could rescue the first group of chimpanzees, confiscated from an ex-circus trainer. Those chimpanzees had been living for more than 8 years in a broken-down truck in deplorable conditions. This is how we started a long-term project to solve a situation so far neglected by the public authorities. We rescue abused primates. We rehabilitate them physically and mentally and we offer them a second life within a group. We are committed to ethological research in order to monitor and improve the well-being of rescued animals. We train the primatologists of the future. We explain our work to people to increase their awareness and reduce the risks faced by primates. 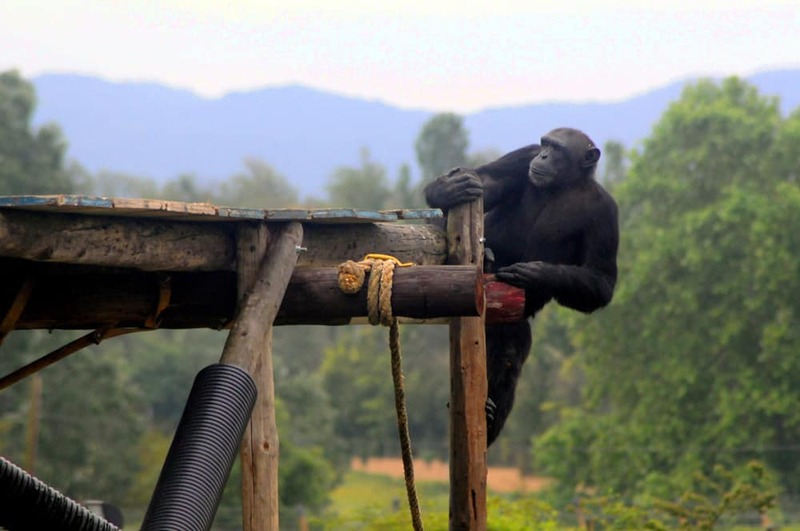 To find some new lands to build a larger rescue centre with the goal of helping the primates that are waiting to be accepted. To build the new rescue centre. 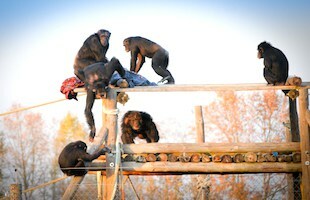 To continue with the introduction of the last rescued chimpanzee to his new group. To improve education classroom and the workshops we offer. With time: Becoming a volunteer. With money: There are different ways to collaborate. For example, you can feed a chimpanzee for 1 € per month, sponsor one or become a collaborating company. With material: We need from nuts to lawn mowers. There are also online shopping platforms, like Wapser or Helpfreely, that allow users to give 3% of the amount of their purchase. Also through RACC and CIVICLUB. More information on Fundació MONA website. MONA is mainly financed by private collaborators (members, sponsors and donors) and collaborating organizations and companies. We also get revenues from our guided tours and training courses. Jane Goodall, for being the woman who best brought the greatness of chimpanzees to western society and for the wonderful work that still develops to raise awareness about the importance of the conservation. 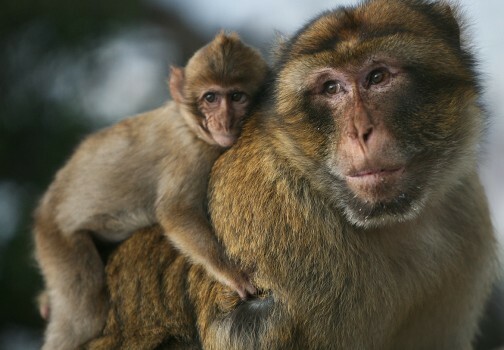 To become the solution for all the primates that are waiting to be accepted in a rescue centre and to improve the laws. To consume in a responsible manner. For example, avoiding products that contain palm oil or coltan. Its consumption is fomenting a rapid disappearance of the tropical forests and its inhabitants. To stop giving “likes” to images of celebrities or anonymous people with exotic animals. 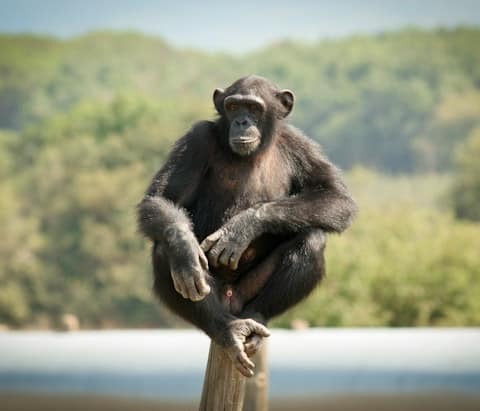 Chimpanzees are already extinct in 7 African countries due to human action (deforestation and poaching). The populations of other primates’ species, such as the Mountain Gorilla, are recovering thanks to a good land management. In Spain there are no more circuses with chimpanzees and there seems to be a decline in the use of these animals in the entertainment world. Through the guided tours that we have been offering for over 16 years, we have detected an increase of social awareness.